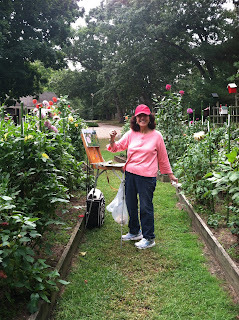 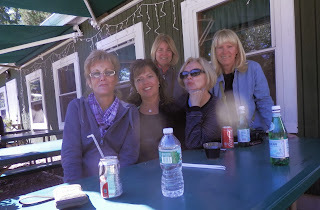 PALS had a fabulous day painting together on beautiful Shelter Island. 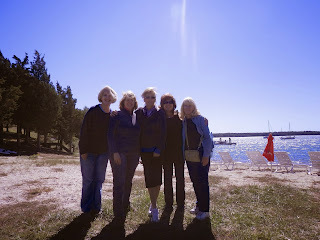 Panoramic scenes, fresh air, lots of laughs and friendship and creativity...and even a wonderful lunch! Thanks Joan for some fun photos, and Liz for your expert navigating, and Laurie for driving the "deli" car, and Susan for being you! 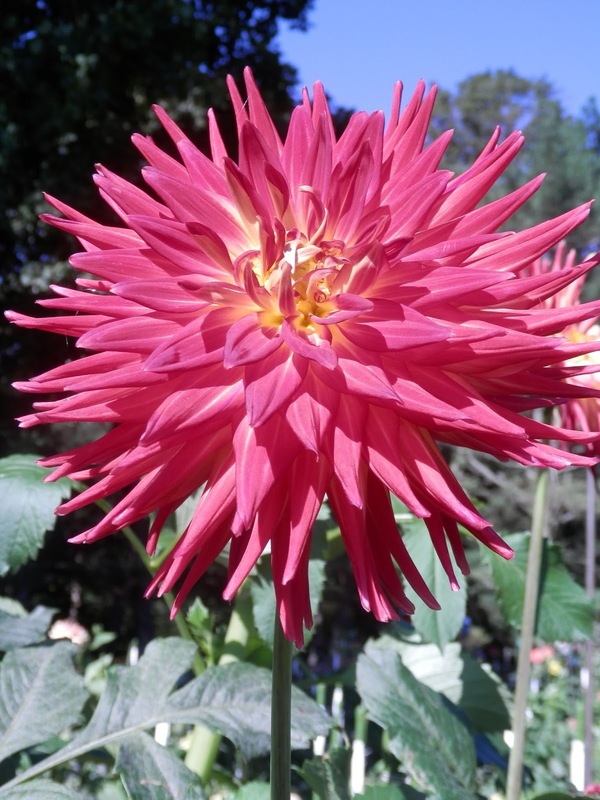 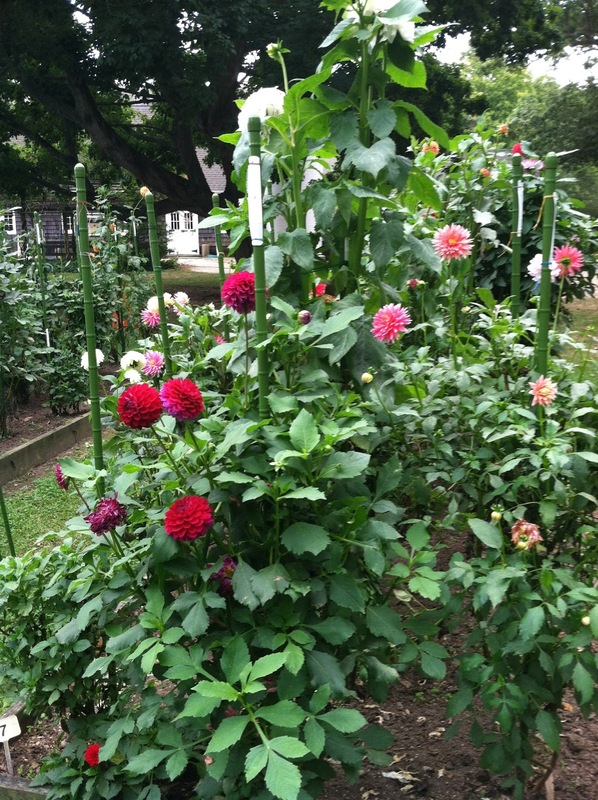 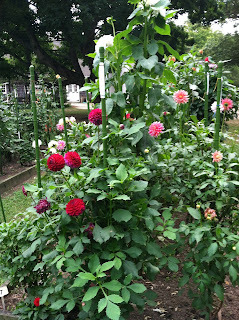 This Dahlia garden is magical! 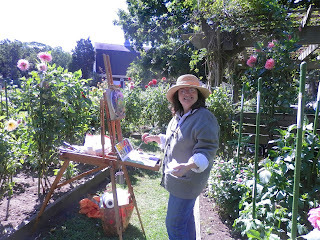 Just a wonderful place to sit and paint and just enjoy nature and the beauty around us! 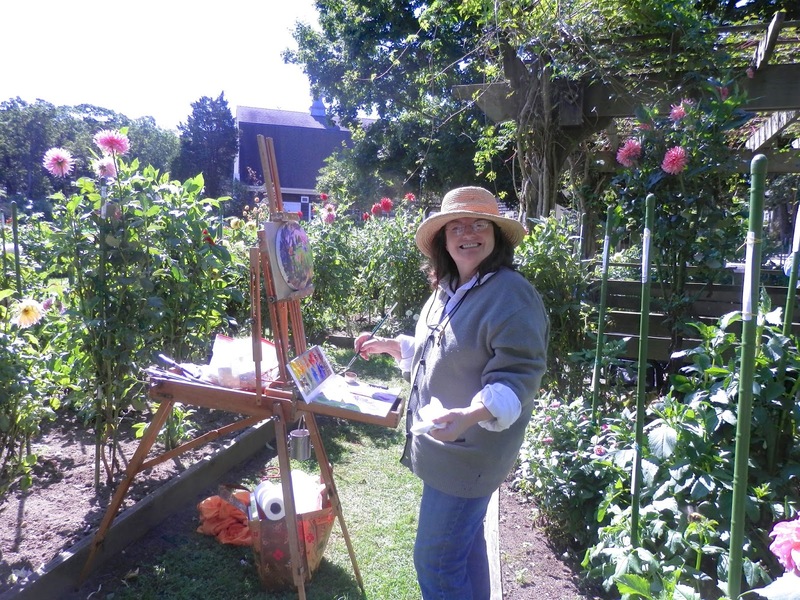 PALS would like to congratulate artist Rosamaria Eisler for selling her painting right off her easel! 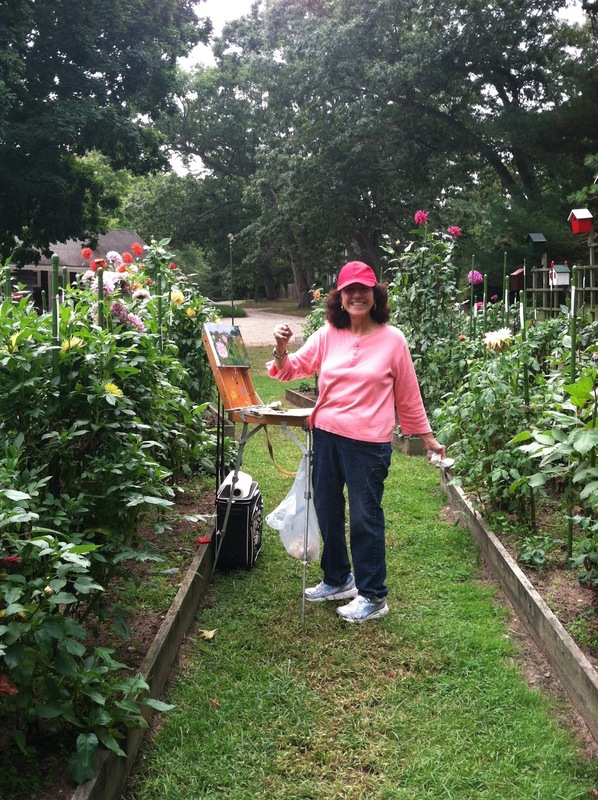 Ww are so proud of you Rosamaria!